Biological systems are often best explored and explained using the power of maths - from the rate at which enzymes catalyse essential life processes, to the way populations ebb and flow as predators and prey interact. 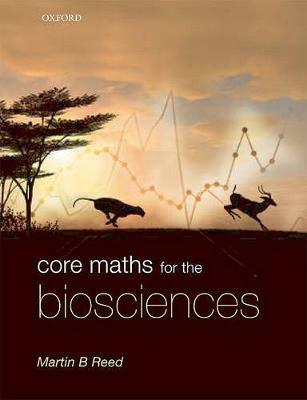 Mathematical tools lie at the heart of understanding biological systems - and mathematical skills are essential for success as a bioscientist.Core Maths for the Biosciences introduces the range of mathematical concepts that bioscience students may encounter - and need to master - during the course of their studies. Starting from fundamental concepts of arithmetic and algebra, the book blends clear explanations and biological examples throughout as it takes the reader towards some of the most sophisticated yet elegant mathematical tools in use by biologists today: differential equations, dynamical systems and chaos theory.Three case studies appear in instalments throughout the text, illustrating the theory: Models of Population Growth, Models of Cancer, and Predator-Prey Relationships. Reflecting the use of maths in modern biology, the book shows how computational approaches are applied to probe biological questions, and makes extensive use of computer support to help readers develop intuituve mathematical skills - both through graph-plotting software, and interactive Excel® workbooks for each chapter.Core Maths for the Biosciences is the ideal course companion as you master the mathematical skills you need to complete your undergraduate studies and will remain a valuable resource at professional and research level.